Enjoy our million dollar view of Keweenaw Bay as you enjoy our great food! APPETIZERS: Featuring fresh Lake Trout, Whitefish, Shrimp, Hot Wings, mozz sticks, poppers, and much more…. Our fish will be prepared as you wish, either deep fried or baked in Carla’s own sprinkling of seasonings. Dinners are served with potatoes, vegetables, and our soup and salad bar. Enjoy: Lake Perch, Walleye Pike, North Atlantic Cod, Poor Man’s Lobster, Sailor’s Platter, Fisherman’s Platter and more. BASKET DINNERS: Canadian Walleye, Michigan Lake Perch, Beer-Battered Cod, Fresh Lake Trout, Fresh Whitefish, Shrimp, and Deep-fried Chicken. FROM THE GRILL: Big 1/3# Burgers, hand-pattied with fresh ground beef! LANDLUBBER’s CHOICE: Sirloin Steak, Beef Tips, Chopped Steak, Liver & Onions, Chicken fixed the way you like, Steak & Lake, and Surf & Turf. 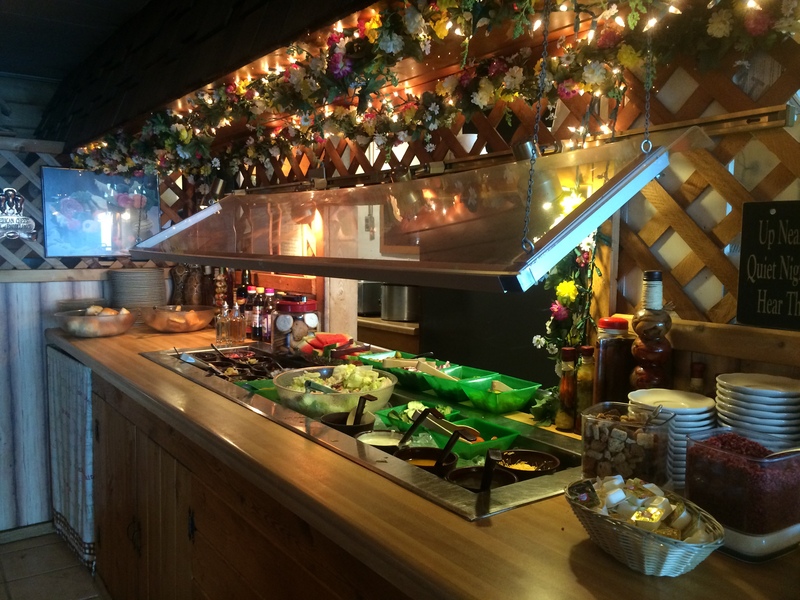 SOUP & SALAD BAR: On the weekends enjoy your favorite garden fresh salad fixin’s, vegetable treats, deli salads, fruit, homemade soups and fresh baked rolls. A delicious, fresh meal in itself, if it’s all you care to eat! We have a special menu for your LITTLE SKIPPERS, and a SENIOR menu for those 55 and older! Local, domestic and import beers and wines, featuring: KEWEENAW BREWING COMPANY BEER. Ice cold draft beer, too! Whose on the local wall of fame? Barry Saunders OFFICIAL jersey in the Lion’s Den at Carla’s Inn.